Over 10 thousand students attended motivational talks as part of the annual Motivational Missionaries Tour 2014 organized by the Restore Belize Project. With the assistance of Chamberlain Consulting, Restore Belize invited Bert Oliva as the guest for the 2014 tour which ran from February 11th to the 19th. On Monday, February 17th, Oliva and his team made a stop at Ambergris Caye where he inspired and motivated the students of San Pedro High School (SPHS). 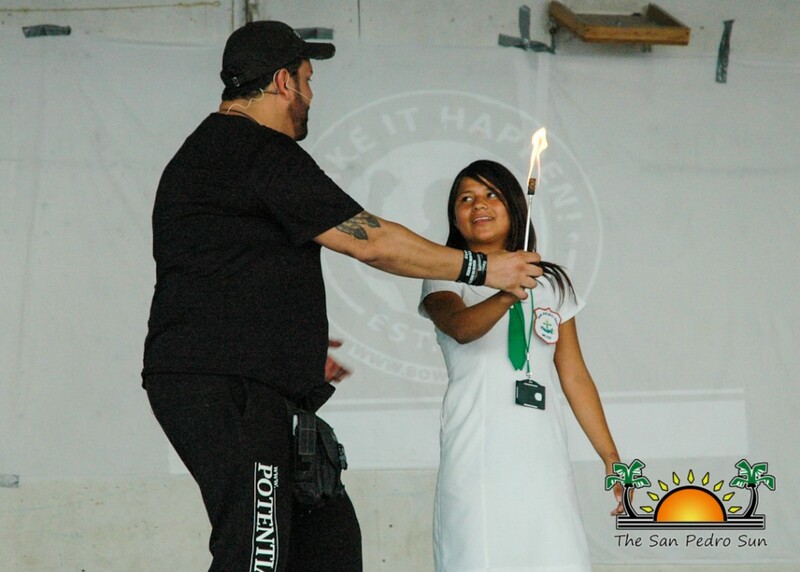 The annual tour is part of the “I am Belize” public educational campaign in which the Restore Belize Project seeks to promote national pride and a positive cultural identity amongst Belizean youth. According to the Restore Belize Project, this is Oliva’s third trip to Belize. “On this year’s tour Oliva is the main speaker and he is well known since he is the main advisor to American business mogul Donald Trump. In his talks to the students, he motivates them by encouraging them to be positive in life and to do the right things. He assures them that they can achieve their goals in life despite the struggles they go through,” said Judith Enriquez of the Restore Belize Project. 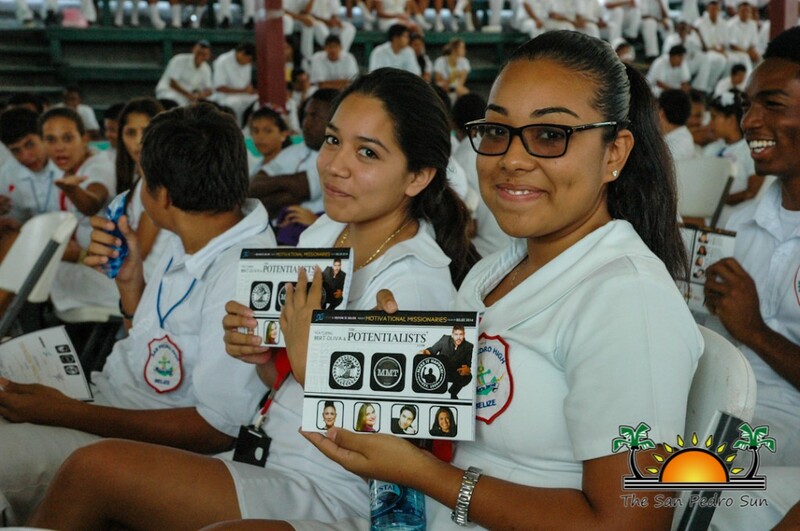 During his two-hour stopover on Ambergris Caye, he met with the SPHS students and members of the public at the Rafael Angel Nuñez Auditorium, where he engaged the participants in a number of activities. “The message Oliva brings across is very fitting. 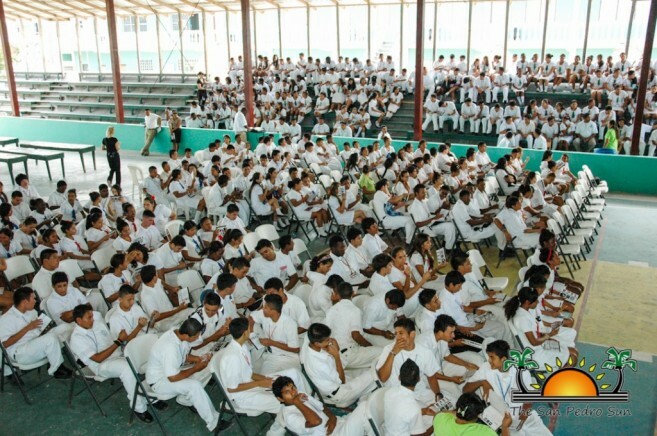 Many students across Belize want to forget things, or do not pay any attention to what they want to be in their lives, but they can actually relate to the way in which he brings across his message. Oliva shares personal tools with them on how to look at life by overcoming challenges and reach their goals,” said Enriquez. Speaking to the students, Oliva said that the idea of the tour was conceived three years ago and is happy that the initiative actually came to fruition. “I truly believe everyone has greatness inside of them and the only person holding them back is themselves. It is a lot easier to blame someone else, a significant other or parents or family, but the truth is that it is up to us. Everyone, before becoming someone in life, has a dream. When you have a dream, you follow it and don’t listen to detractors and you will find yourself moving up and you keep growing. It doesn’t matter who these students are in terms of gender, race and so forth; they all have greatness and so what I try to do is to empower them with personal tools to be able to succeed in reaching out for their dreams,” said Oliva. For third form students Ethel Villatoro, the message was timely considering the peer pressure amongst other obstacles that students come in contact with. “I think it is an appropriate presentation because it taught us about our values and that we have good things within ourselves which gives us motivation to do better. The most important part of the message that I captured is that everything is possible in life - that it doesn’t matter how crazy our dreams are, it is possible, once we dedicate and focus ourselves,” shared Villatoro. 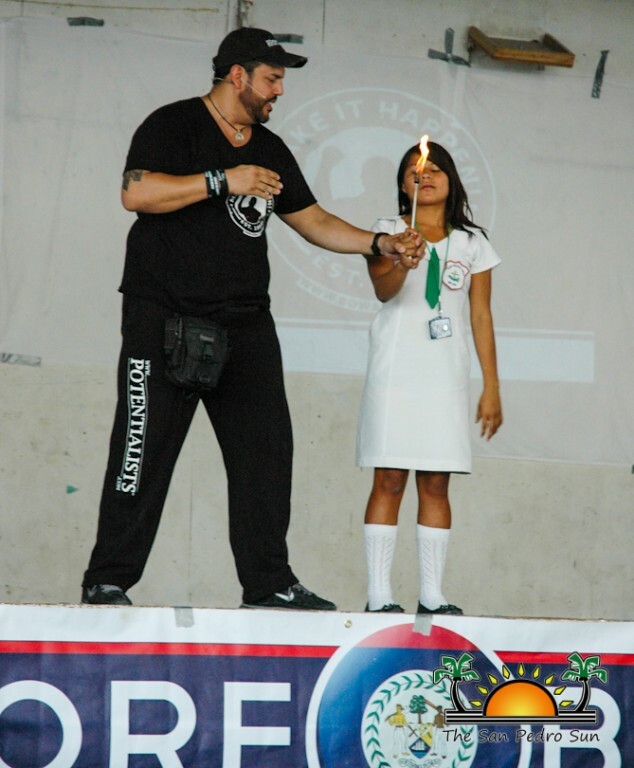 During his visit to Belize, Bert Oliva engaged his young audiences in breakthrough experiences, such as eating fire and walking over broken glass; totally convincing the participants to overcome their deepest fears. For nearly two decades, Bert Oliva has dedicated his life to developing “Humanology” – the scientific study of the human potential. Although Oliva and his organization called The Potentialists normally make their living by bringing these motivational teachings to the corporate world, with major clients including HBO, Hewlett Packard and Donald Trump, they took some time off to share their extraordinary talent and inspiring messages with young Belizeans in a high-energy, life-changing national tour with the support of various agencies. The motivational speakers also made a stop in neighboring Caye Caulker Village before ending their tour on Wednesday where they met with students in the Toledo District.